For the Love of Character: Sparkling Champagne! 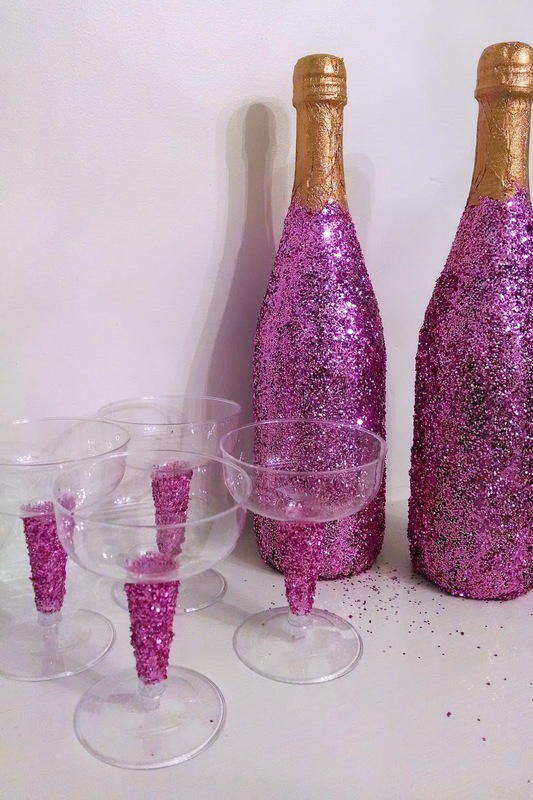 Sneak peek to the Valentine's Party: Glittering the champagne bottles and glasses! 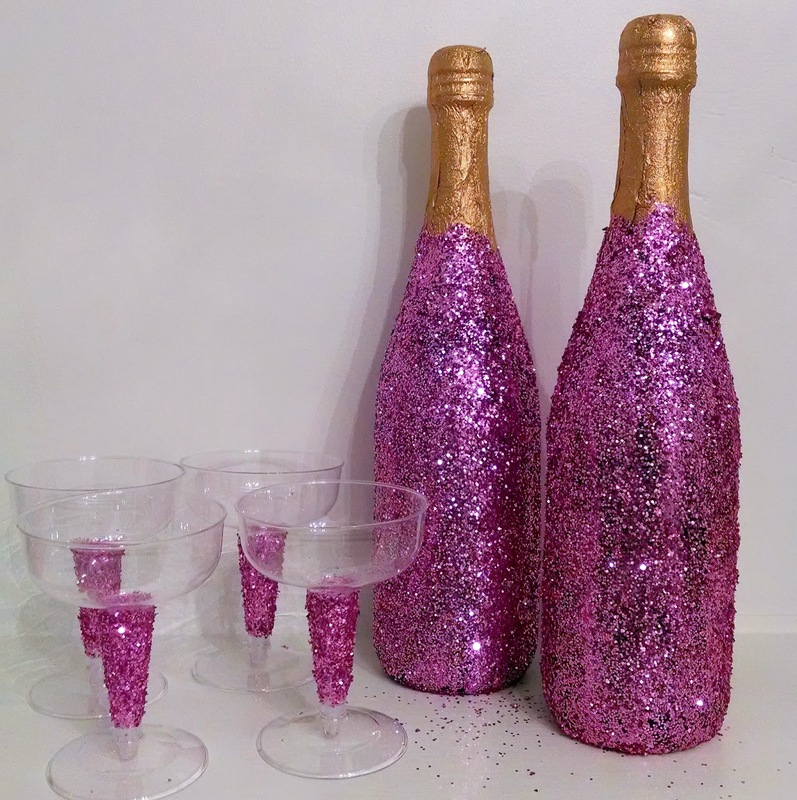 I've snazzed up some champagne bottles before, for the NYE Party at my friend Rachel's house. This time around I decided to use glitter. Glittered champagne is all over Pinterest and I thought it would be a perfect look for a girly Valentine night with my coworkers. 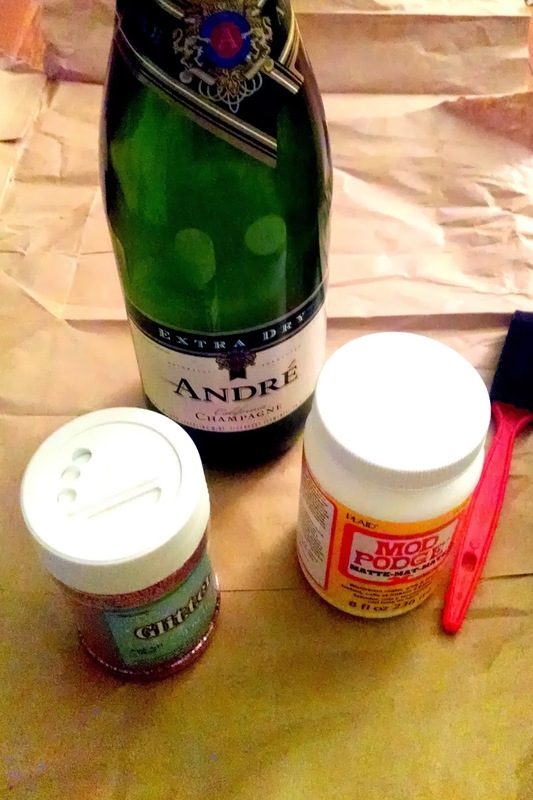 This is a great 10 minute craft because all you have to do is cover the bottle with Mod Podge and then shake the glitter on...it's seriously that simple! These are great for some girly character! I foresee myself making these again for other girl night parties because they turned out so cute. I need to think of what other materials to glue onto the bottles...any ideas? Please comment! Twinkle Little Star Baby Shower!